It's been a good week since we started winter roleplay and I hope all of you got yourselves into the festive mood! Just like two and three years ago, we're going to host a yet another Christmas Screenshot Competition! The goal is very simple - you need to snap a photo that captures the true beauty of winter. It can, but it doesn't have to feature christmas-related touches such as christmas trees or decorations. It's meant to be as raw as possible - showing off your photshop skills or game mods is not the purpose of this competition. Just venture out into the snowy world (snow textures mod is mandatory for participation, for obvious reasons) and try to find the one-in-a-million chance to take the best photo RCRP has ever seen! All entries to the competition have to be posted as a reply to this thread. When the first phase of the competition ends, I will go through the thread and copy out all entries - they will then be posted in the admin section for all admins to vote. Each of the admins will have three votes, and the three participants with the biggest amount of votes will be rewarded with a cash prize stated below. 1. Your screenshot has to be taken on Red County Roleplay. Not singleplayer, not any other server. 2. The usage of CamHack is allowed for making the screenshot. 3. 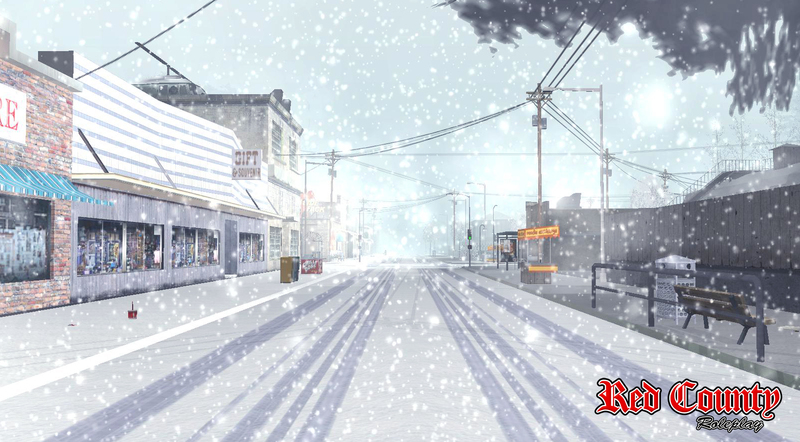 The usage of a snow texture mod is obligatory. 5. Only one submission per player is allowed. 6. The usage of any other mods is permitted but not obligatory. 7. The only kind of photo editing allowed is cropping / basic retouch(color correction, blur effect, etc), it is not a Photoshop competition. 8. It is not obligatory for your character to be visible on the screenshot. 9. You can replace your old submission with a new one as many times as you want before the competition closes. Additionally, all three screenshots will be featured on the RC:RP Homepage. All entries are to be posted as a response to this thread. The competition will be closed on Sunday, 16th of December, 23:59 (GMT), so you have 8 days to submit your entries and edit/replace them if necessary. As stated above, after the entry phase of the competition is over, the admin team will choose the three best screenshots in a vote. They will then be announced in this thread, along with forum PMs being sent to the winners. The screenshots will also be featured on the RC:RP Homepage. You are allowed and encouraged to post your comments and thoughts in this thread. Good luck to everyone! can't wait to see the entries. They don't disappoint. had same problem but yesterday after update everything is fine.